Your video is ready to be beautified! Beautify your video for FREE! • Unique Video stickers, fun filters for Video, creative GIFs for video editing and beautiful pattern and gradient background for your video, and video remove watermark for FREE! What is Kruso? 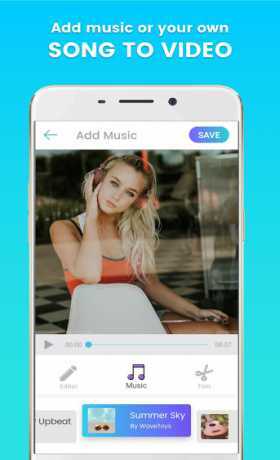 | Kruso Video Editing Application aim to give you an extra hand in unleashing your creativity in creating your Instagram stories, Facebook Video for your businesses video, brands promotional video or personal viral video. FUN STICKER FOR A VIRAL VIDEO ? • Emoji, travel, social media, business, pet, babies, New Year, Christmas, birthday, and more! WATERMARK LIKE A PROFESSIONAL PHOTO EDITOR ? EXPORT IN HD LIKE PRO VIDEO EDITOR ? PROFESSIONAL VIDEO EDITOR WITH SIMPLE UI AND USEFUL FEATURES ? • Contribute to the creative world with your creativity in composing interesting videos and share it on Facebook Video and Instagram Video. Kruso – Your #1 choice of video editor app & aim to be the best video editor for you.